You are at:Home»Share Your Kitchen Makeover Images & Win! 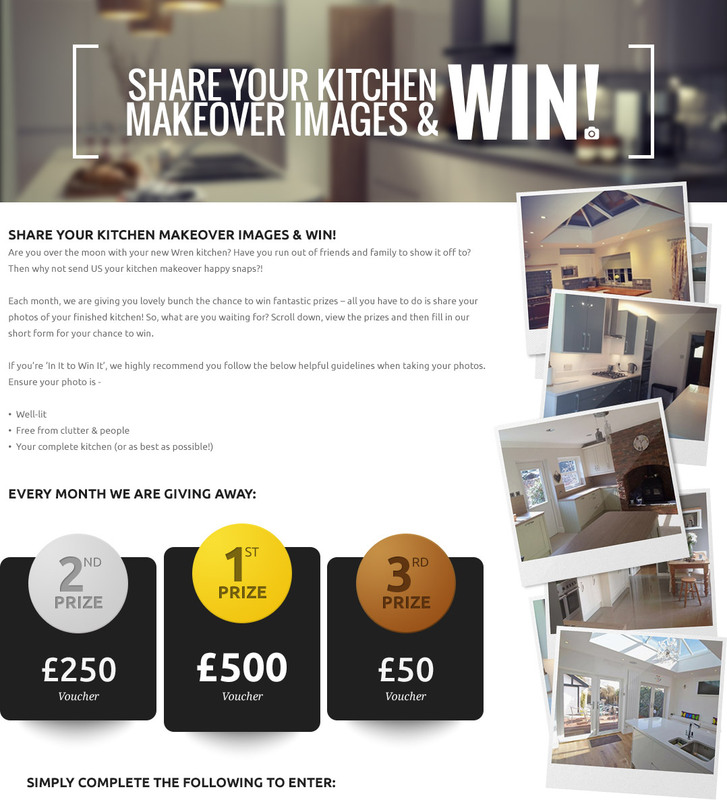 Share Your Kitchen Makeover Images & Win! To be eligible to win, you must fill in all of the above fields. You must be a customer of Wren Kitchens and the kitchen photographed be the Wren kitchen purchased. By sharing your details and photographs, you are giving Wren Kitchens permission to publish it on their website and in any form of marketing activity. Only one entry can be made per customer. All duplicate submissions will be ignored. Wren Kitchens reserves the right to extend the timeframe or withdraw the prize draw at any point. Wren Kitchens reserves the right to decline publication of any photograph and description where it is considered unsuitable. Vouchers can be used in-store or by notifying your contact at Wren Kitchens of the products you would like. You may only submit your photograph and description to one monthly prize draw. Any additional entry will be ignored. The voucher can only be used by yourself and is non-transferable.